An array is a data structure that stores one or more similar type of values in a single value. For example if you want to store 50 numbers then instead of defining 50 variables its easy to define an array of 50 length. There are three different kind of arrays and each array value is accessed using an ID c which is called array index. Indexed arrays − An array with a numeric index. Values are stored and accessed in linear fashion. Associative array − An array with strings as index. This stores element values in association with key values rather than in a strict linear index order. Following is the example showing how to create and access numeric arrays. 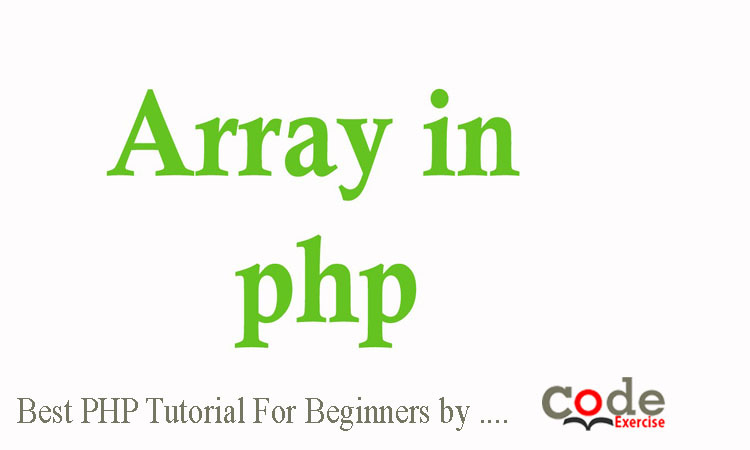 Here we have used array() function to create array. This function is explained in function reference. The associative arrays are very similar to numeric arrays in term of functionality but they are different in terms of their index. Associative array will have their index as string so that you can establish a strong association between key and values. Note: − Don’t keep associative array inside double quote while printing otherwise it would not return any value. Example: Associative arrays are arrays that use named keys that you assign to them. This example is an associative array, you can create numeric array in the same fashion. Thanks for reading our tutorial post.If you like it then please comment bellow and if you have any complain or want to give us any advise please contact us.